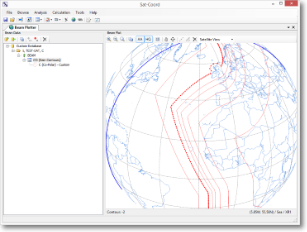 Sat-Coord can be used to retrieve beam data from SNS database files through the ITU GIMS Reference database, or alternatively from other ITU GIMS database files. 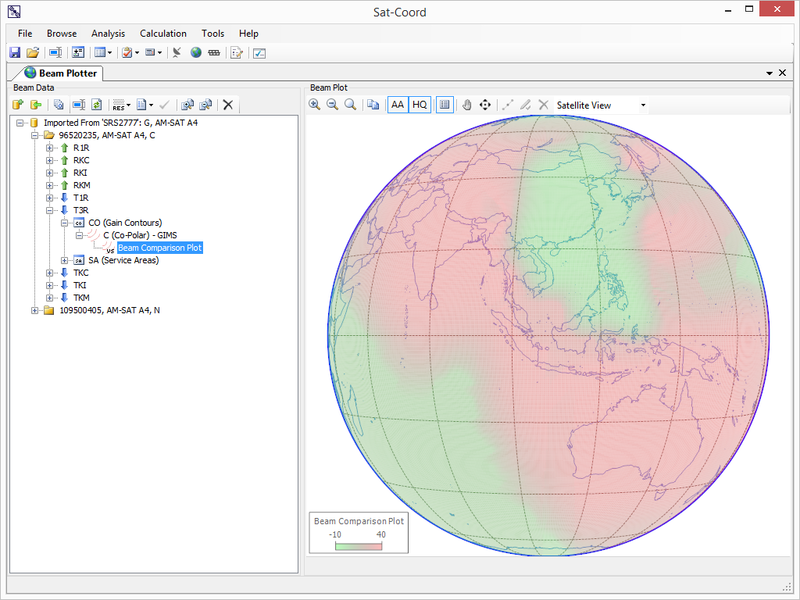 Sat-Coord supports displaying GIMS gain contour, service area and AG/GSO diagrams. 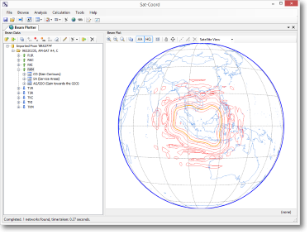 Supports the ability to crate and edit your own custom gain contour, service area and AG/GSO diagrams and save them into GIMS database format or export them to GIMS GXT format. Boresight and contour points can be moved or new points can be added effortlessly. 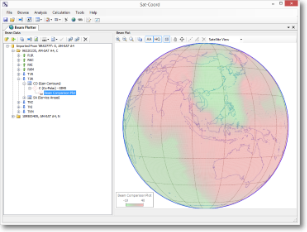 Service Regions can be defined either through user defined contour points, or through the ITU IDWM defined countries and regions. 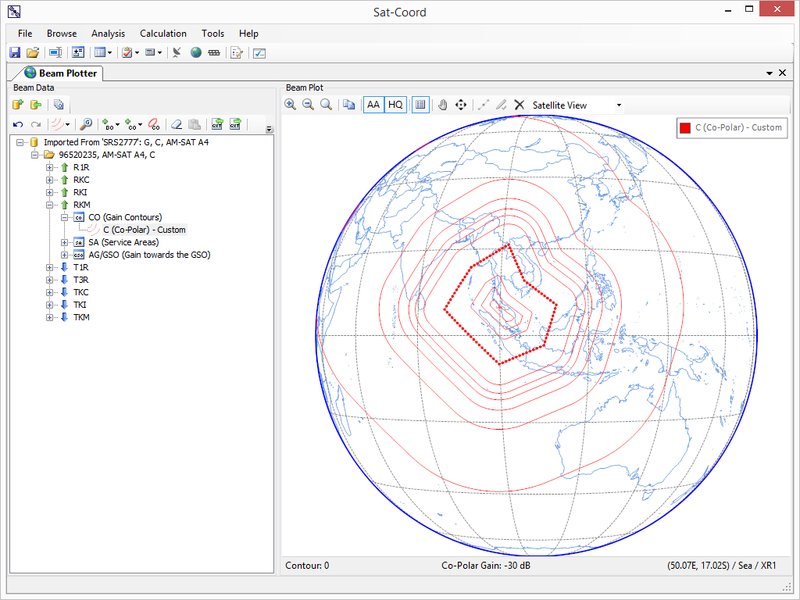 New contours can be automatically generated from a baseline contour using the ITU Antenna Pattern Library radiation patterns. 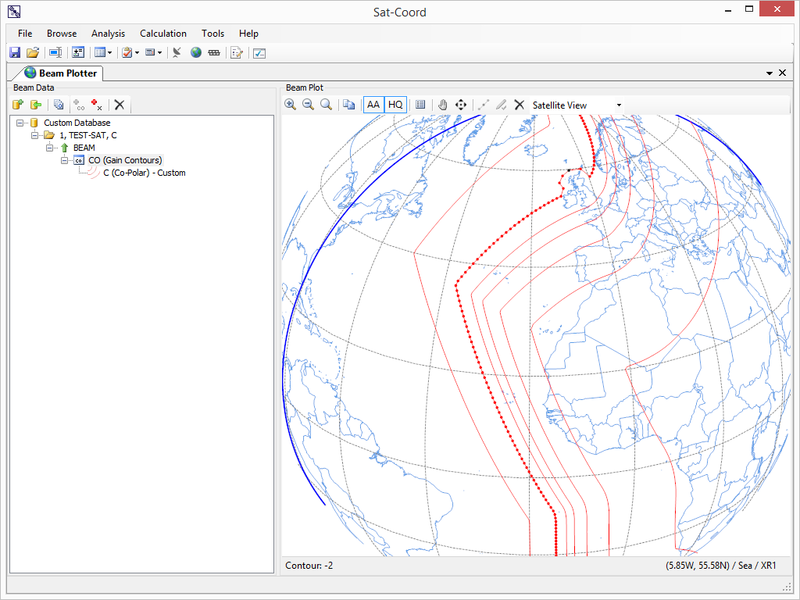 New contours can be generated from any user defined polygon, or ITU Region. 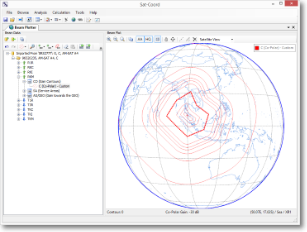 Quickly develop complete gain contour patterns providing the exact amount of isolation needed toward ITU Regions or countries. 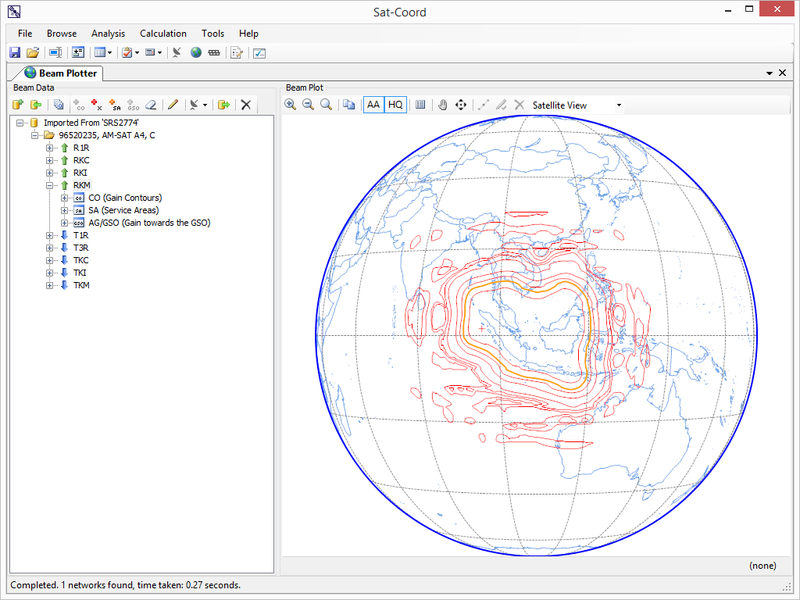 Sat-Coord can visually compare any two gain contour diagrams. Quickly locate the areas where one gain contour diagram is higher or lower than another gain contour diagram. Retrieve the worst and best case points on Earth.